A very special thank you to Vincent Liska for his assistance. Vin knows a little something about this dealership. 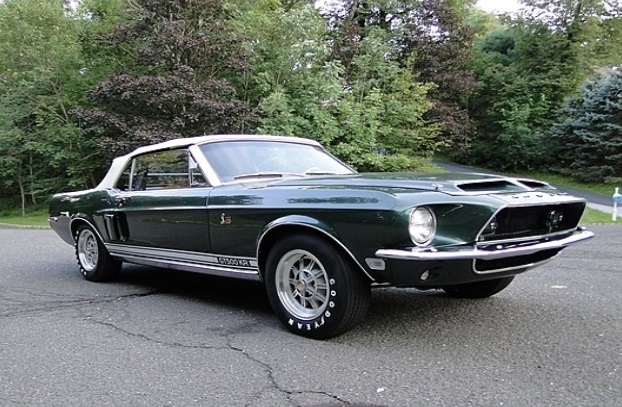 He bought a 1969 Shelby there. 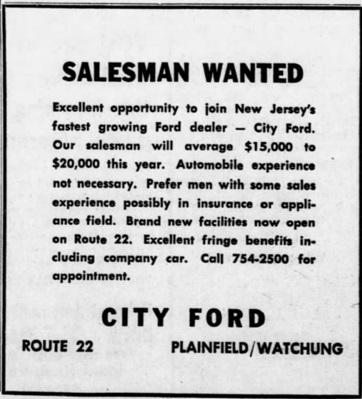 City Ford was in Watchung, New Jersey and was owned by Jack Gibbons. Watchung is 30 miles west of New York City and just 10 miles from the Meutchen Assembly Plant. 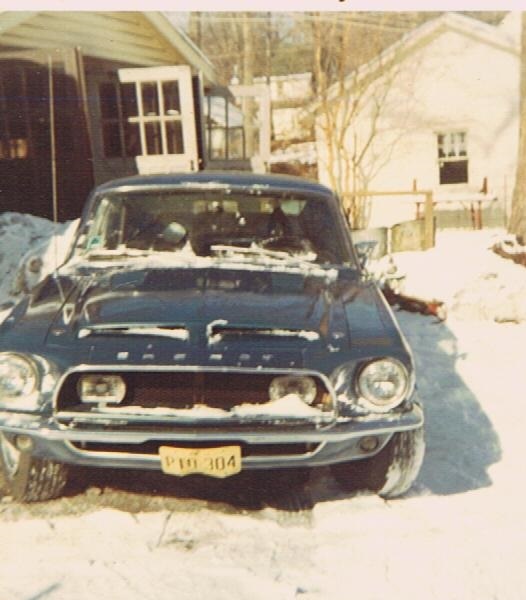 Of course, all of the 1968 Mustangs would make a round trip to Michigan before returning to New Jersey as completed Shelbys. The dealership relocated to Route 22, Watchung, New Jersey in 1967. Previously, they were located in nearby Plainfield, NJ. I would love to know what was going here? 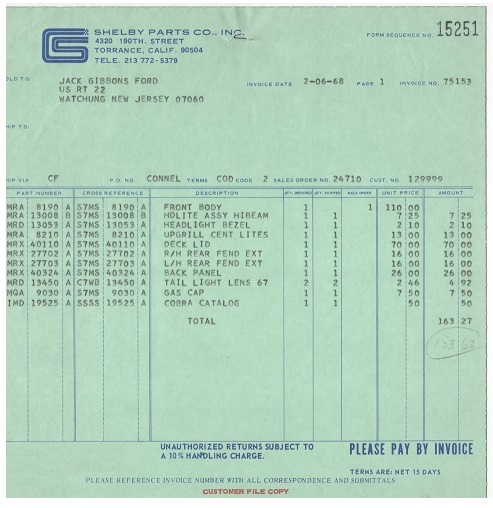 This Gibbon's invoice lists a nearly complete set of 1967 fiberglass! 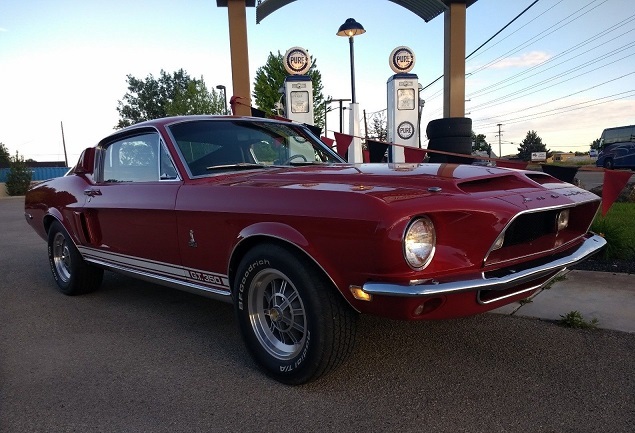 The dealership sold 161 Shelbys between 1968-1970. 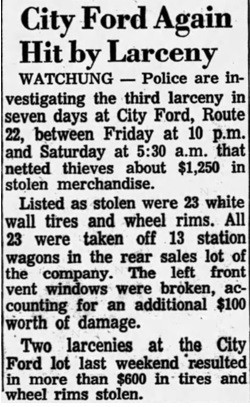 Most of the cars sold were 1968 models. 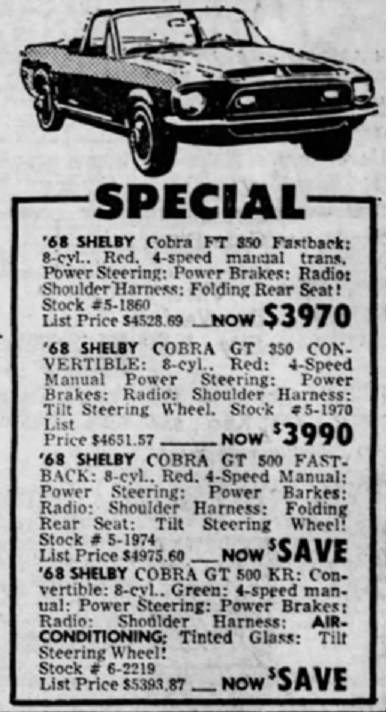 In 1968, they sold 105 Shelbys. 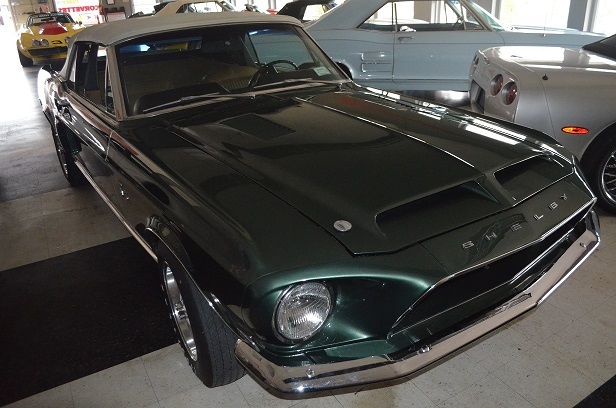 1968 # 1428 was one of the first 68's to arrive at Jack Gibbon's dealership. Red was the most popular 1968 color as modeled by # 2176. This photo of # 2178 must have been taken by a professional! Looking good. # 2401 was Highland Green and Saddle. The dealership took several cars in this combination. 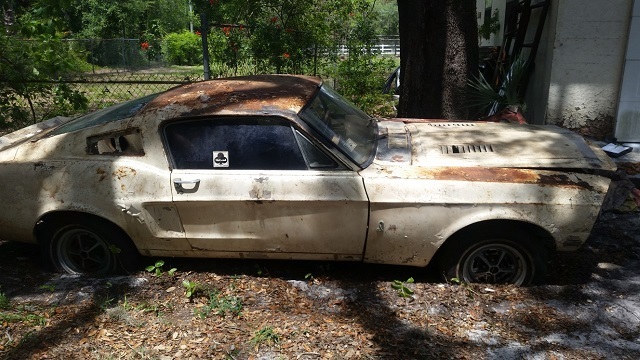 Hey, let's get real, not all Shelby stories have a happy ending. This is another Gibbon's alumni. You knew I would find some Jack Gibbon's advertising. They don't call me the AD KING for nothing. Here is a close-up of the best part of the ad. Shelbys, of course! 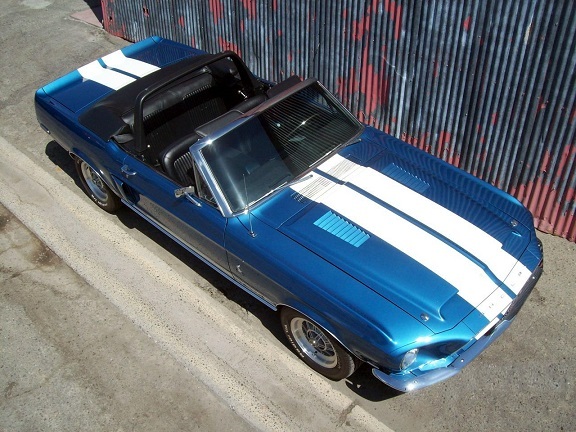 Shelby built just fifty seven 1968 4spd, AC convertibles. 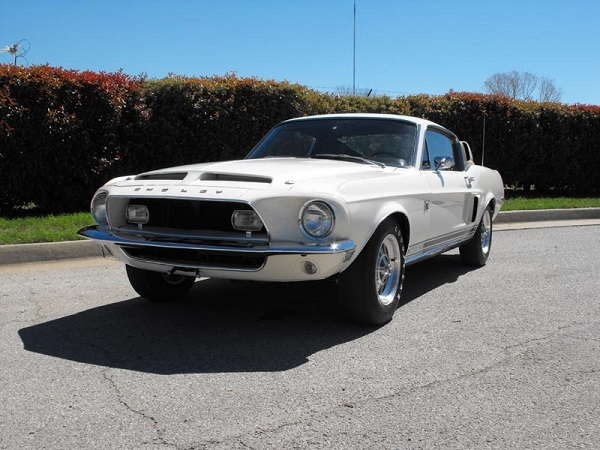 Naturally, with a short list like that, identifying the GT500 KR was a piece of cake. It's number 3604. Robert Sobers was the original owner of # 3860. Unfortunately, Robert has passed away. You can read more about his car by checking out the car stories section of the website. 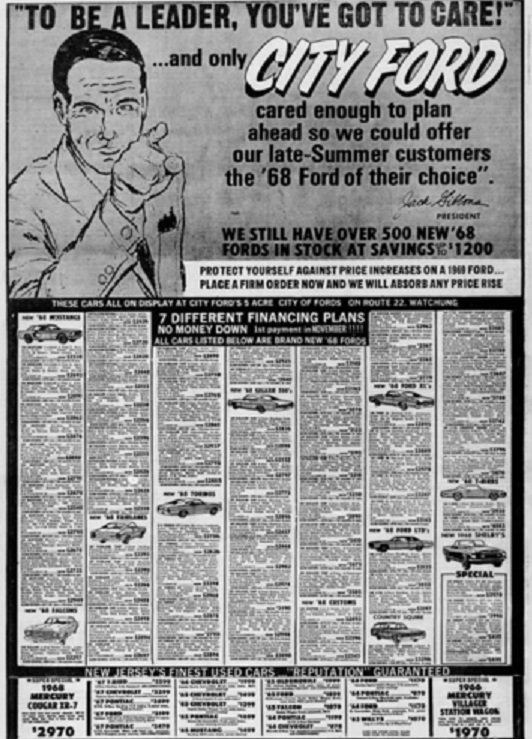 Here's another City Ford advertisement from 1968. Your "Official '68 Shelby Cobra Headquarters". 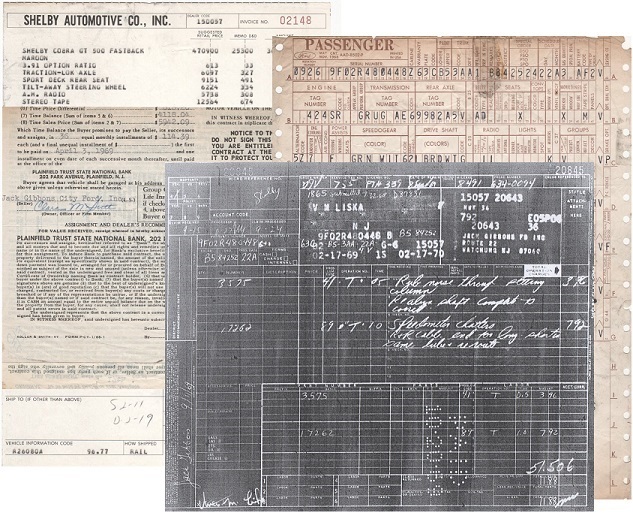 This is the original order form for car # 4003. 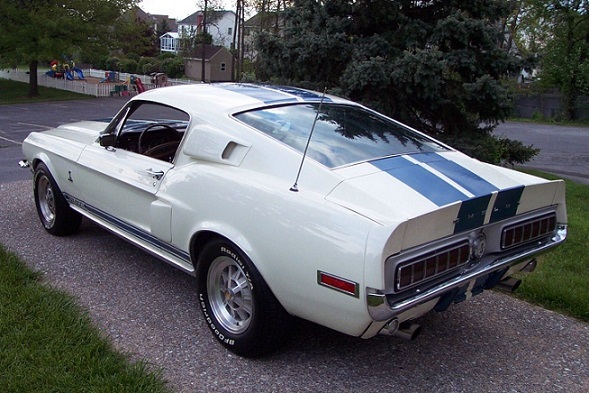 If you haven't seen this before, you still might be able to track down a copy for your own Shelby. Here is 4003. A documented car is the best defense to protect your car's value. Sure things happen....now what do you suppose those guys were doing with station wagon wheels? 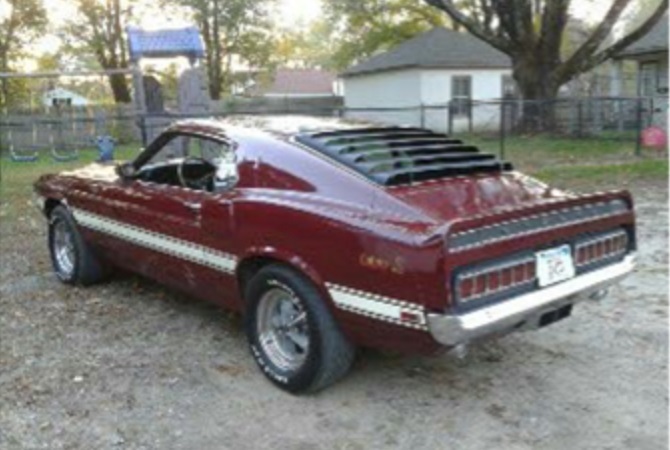 Here's one way to find information for the Shelby Registry. Scan old classifieds. Someone wasn't making their payments! 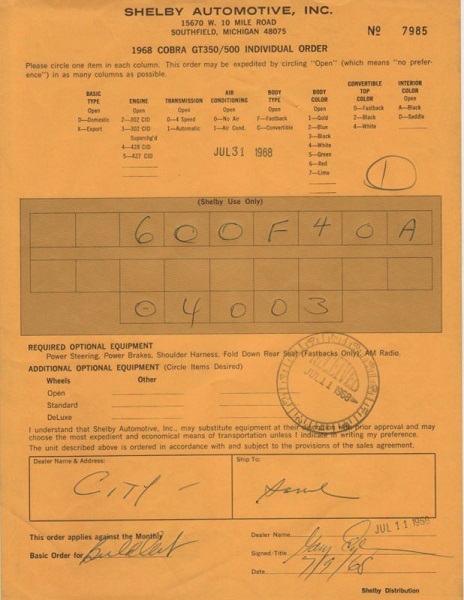 The correct serial number is "9F02M481525". One more footnote is now available for a future owner. 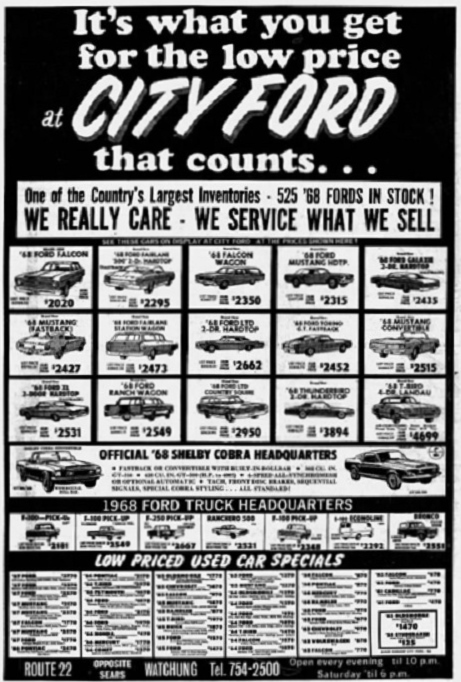 In total, City Ford sold forty seven 1969/70 models . 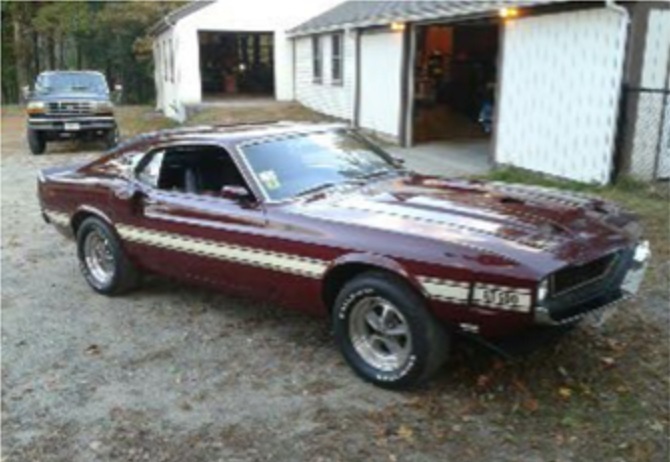 This is the car Vinny Liska purchased new from Jack Gibbon's City Ford. If you are the Registrar, then you have your paperwork in order. Original invoices, warrant work and build sheet are among this stash of documents. Vinny is very knowledgeable on all 1968 and 1969 cars. If you haven't spoken with him, you really should make an effort to do so. Unfortunately, you are a little late to apply for this job. But, it would have been fun. The original location of Jack Gibbon's Ford is now occupied by Laccardi Lincoln. 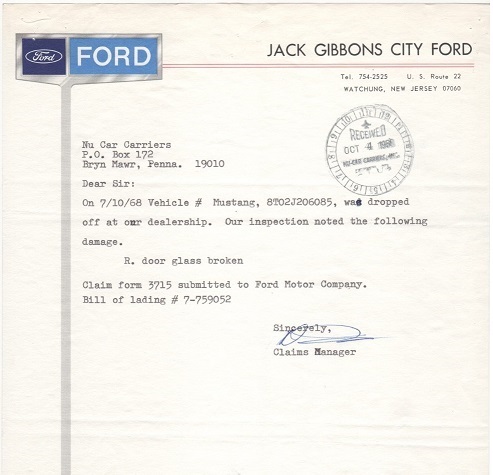 If you have anything related to Jack Gibbon's City Ford, please drop me an email.